At Regalgoldens we take breeding very seriously beginning with the selection of parents. A lot of thought, planning,and research goes into each and every mating. Because our breeding standards are set very high, no dog is ever mated unless it passes all health clearances for hips, elbows, heart and eyes. We want to ensure that our breedings will produce puppies that are genetically sound. Puppies: The first 8 weeks are extremely important. Nutrition and environmental factors are just as important as genetics, so we do everything possible to ensure that our puppies are given the best possible start in these areas. 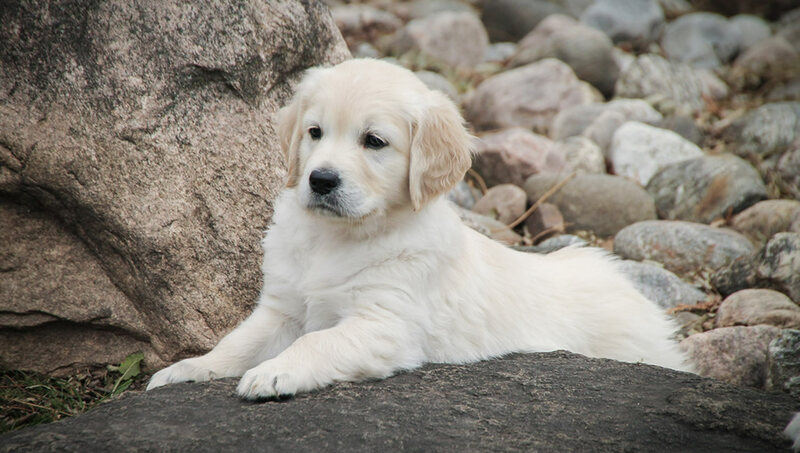 Regalgoldens puppies are given lots of individualized attention from the moment they are born. Our Golden Retriever puppies receive early Bio-Sensor neurological stimulation. These daily exercises have been shown to improve heart rate and strength, strengthen the function of the adrenal gland, increase tolerance to stress and resistance to disease. We take great pride in producing high quality puppies. Structural and temperament evaluations are performed around 7 weeks of age to ensure that a puppy’s individual trait will complement its new family as best as possible. Visit our Current Litter page.